Today, hiring moving services can already set you back an average of $944. That doesn’t even include your own transportation and potential rental storage fees. But you know what? That hasn’t stopped Americans from moving residences. In fact, an average person in the United States moves from one home to another not once, not twice, but 11 times. This shows that moving, regardless of how big a step it is, is doable. But before you pack all your stuff, you should be preparing your home for sale first. Don’t worry even if this is your first time selling a house. So long as you keep in mind these home selling preparation tips we’ve rounded up, you can keep low ballers at bay. Put yourself in the shoes of potential home buyers. Then, imagine yourself entering a house that may soon become your humble abode. What’s the first thing that comes to mind? Most likely, you’re picturing yourself living in that house. This will be hard though, if there are a lot of personal effects, like family photos and trophies. These items may be so distracting you’ll find it hard to see yourself in that home. That’s why cutting emotional ties to a house is the first step to preparing a home for sale. The sooner you let go of these attachments, the easier it’ll be to set up the house for buyers. Over the years, you’ve accumulated stuff in your home that reflects your personality. After all, it’s your personality that makes that house your home. As such, preparing to sell your home means getting rid of all the personal touches you’ve given it. That includes depersonalizing all rooms and taking down those family photos. That also means packing your family heirlooms and anything that has sentimental value. What you want is to make it easy for them to imagine their own family photos up on those walls. In short, let potential buyers imagine themselves owning and living in that place. It takes as little as seven seconds for someone (or something) to make an impression. That’s why it’s vital your property’s curb appeal can wow potential buyers right from the start. After all, the first thing they’ll lay their eyes on is the outside of your house. You can start with small landscaping improvements, like weed removal and lawn mowing. Pruning the bushes is also easy enough to DIY, but can already boost curb appeal. If you’ve got no time, consider contacting a reputable lawn care company. They can also help address bigger issues, such as safe removal of tree branches. Speaking of house exteriors, you’d want to give your front door a new paint job. It’s cheap and easy, but it gives the house a more welcoming, cozy vibe. Get those faded or rusty house numbers changed too, while you’re at it. We’re referring to small leaks that haven’t penetrated your roof’s underlying structure. If your roof only has a few missing shingles or slates, it’s a good idea to have these replaced before house showing. Unsure if the roof damage already warrants replacement? In this case, you may want to contact a roofing company for a more thorough inspection. Keep in mind that extensive roof repairs and replacement are costly though. If you don’t have the budget, consider selling your house as is. You know those ads you’ve seen saying “We Buy Ugly Houses“? These are people and businesses that buy fixer-upper houses. If your house requires major repairs and you don’t have the time or money for that, they’re an option worth looking at. Test your wall outlets and make sure they’re working fine. Especially those that you use often and are most visible. You may also want to replace old outlet covers – they’re cheap and easy to install, but still a plus for buyers. Don’t forget to repair or replace faulty light switches too. Swap those flickering or busted light bulbs as well. Addressing these common electrical problems is key to preparing your house for sale. Now that you’re about to put your home up for sale, it’s time to address leaky faucets and slow draining sinks. These are common plumbing issues that can put off potential buyers. The good news is, many of these are minor enough you can DIY their fix. In the second quarter of 2018, average selling prices of homes in the U.S. reached $378,400. The quarter before that, it was $374,600. With that kind of money on the line, you can expect them to be on the lookout for the smallest signs of house damage. They won’t only use their eyes, but their sense of smell too when checking out your property. As such, address those weird odors permeating your home ASAP! Whether funky or downright foul, these smells can signal more serious problems. You may have a mold infestation, dead critters somewhere, or even dangerous electrical issues. It’s your safety on the line too, so it’s best to get these smells checked out before showing your house to buyers. This is obvious, but too important not to mention. It can be easy to forget doing a final cleaning up in all the excitement of meeting up with potential buyers. So, make sure that you get rid of all those paint cans, boxes, and debris from your house improvements. Give the counters, shelves, and furniture a final dusting. Make sure the toilets are sparkling clean too! Preparing your home for sale is as important as prepping the new one you’ll soon move into. You want to get it off your hands as soon as possible so that you can begin enjoying your new place. 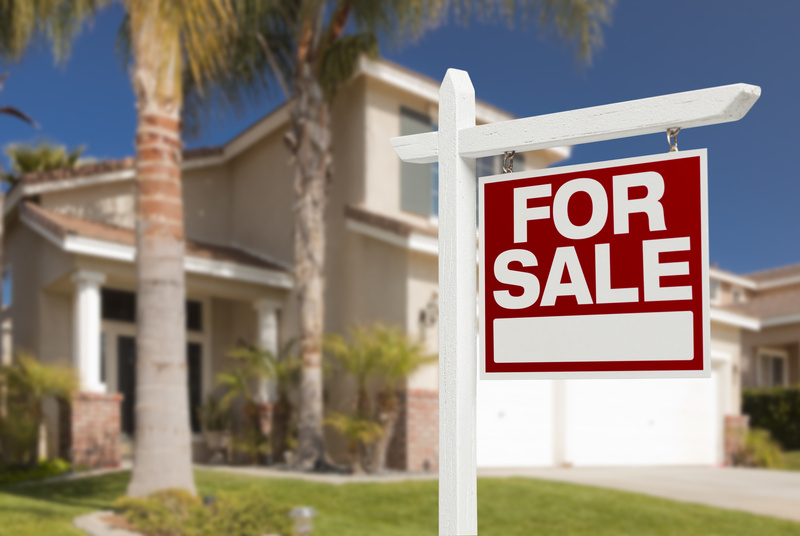 By following these tips, you can sell your house faster and get the best possible price on it too. Want to know how to make the move to your new home as painless as possible? We’ve got exactly what you’re looking for! Check out this list of must-dos before moving into a new house!